If you’ve just moved house, you’re probably excited to celebrate Thanksgiving in your new home; but bringing together a whole celebration right after you’ve masterminded a house move might feel like a lot of work. As real-estate agents, we know how important it is to feel at home, and a good celebration can make it happen quickly – and it doesn’t need to taje all of your time. 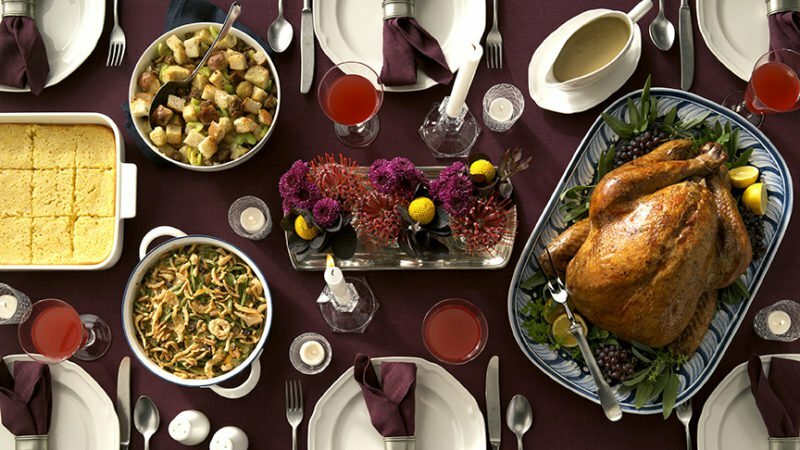 Here’s a few tips for celebrating Thanksgiving in a new home without working all night! You might think that Thanksgiving is about having a perfect décor already set up, getting the interior design and decoration of your new home just right. But even if you’ve got a lot of work left to do to get to your final look, you can make your home feel like a good venue in the meantime by using open spaces for a minimalist vibe. Start with a table and chairs for all of your guests, and make sure you’ve got plates and silverware: but beyond that, just work to keep spaces clear, and softly-lit, and you’ll be amazed how good it can feel. Use simple cloth or colored posters if you want a splash of color; but with lighting, food and good company, you’ll have everything you need. Choose food you’ll love, and go from there. If you’re cooking, getting the turkey right is the first step you need to take – but after that, everything’s easy. Choose courses you love and strip the menu back to the dishes everyone enjoys, instead of trying to get everything on the table. And if you don’t have a whole kitchen set-up ready, order in – whether there’s turkey or not, sharing food you love with the right company is what makes a Thanksgiving, and a happy start in your new home. If you’re in a new neighborhood, you might want to do something low-key for Thanksgiving dinner, and take the opportunity to get to know your neighbors over the holiday by hosting a party earlier in the weekend, or next weekend. But if you’re close to old friends or you know people in the neighborhood already, you can throw together a potluck as a housewarming – no-one will expect perfection, but everyone will be excited to see your new home, and pitching in together is a great way of keeping things simple and not waiting till everything’s perfect to celebrate with you. The important thing to remember is that even if you may not be able to celebrate the day in a way you normally would, it’s no reason to worry. Make the most of it and create a new set of memories, so you can look back on it and laugh together as next year’s Thanksgiving arrives. Remember to take photos of your first Thanksgiving in your new home, and consider starting a collage of photos that will show your home taking shape – and for the first photo, use the photo you took on the first exciting Thanksgiving there.